Showrunners Emma Frost and Matthew Graham explore the early life of Catherine of Aragon, Henry VIII’s first wife, in historical drama The Spanish Princess. They reveal how the future queen caused a stir in Tudor England and the drama’s parallels with Breaking Bad. 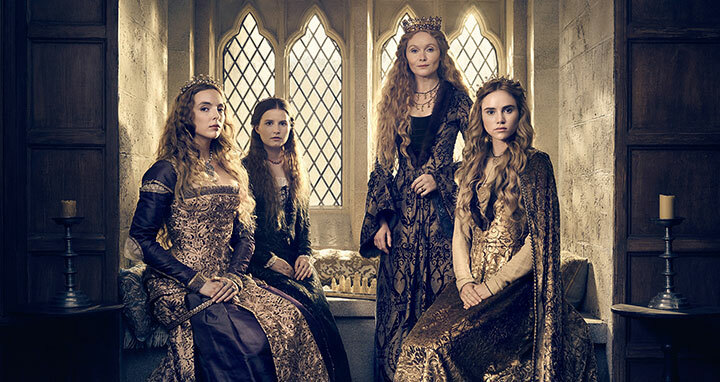 Hot on the heels of The White Queen and The White Princess, US premium cable network Starz is continuing its dynastic saga of Tudor England with eight-part drama The Spanish Princess. 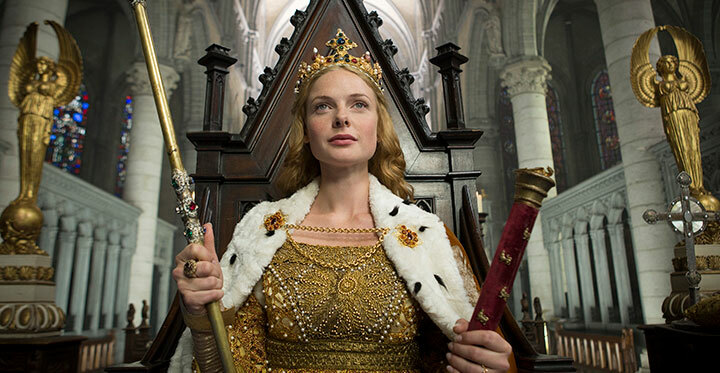 Like both of its predecessors, this new series recalls history from the perspective of its female characters and is based on historical novels by author Philippa Gregory, this time The Constant Princess and The King’s Curse. But while the story ostensibly focuses on Catherine of Aragon’s arrival from Spain with dreams of becoming queen – an ambition she achieved by marrying the future Henry VIII – it stands apart from previous instalments through its perspective of an outsider causing a stir in the Royal Court, themes of immigration and its focus on people of colour living in 16th century London. Under the leadership of co-showrunners Emma Frost and Matthew Graham, the series will reveal how Catherine left a Spain ruled by her fearsome mother, Isabella of Castile, and came to England, where she experienced a huge culture shock in a land that was comparatively old fashioned and male dominated. But there’s another reason that Frost and Graham believe The Spanish Princess promises to be the most exciting chapter yet. Beginning their research during production of The White Princess, they were keen to understand the place of people of colour in 16th century London. Historical advisers suggested diverse characters would have been an anachronism for the period, which Frost admits “really pissed me off,” as she already knew that wasn’t true. 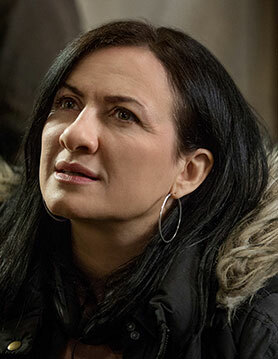 “What we discovered without breaking too much of a sweat is that Catherine of Aragon came to England with an incredibly diverse entourage of people, notably including an African Iberian lady-in-waiting called Catalina de Cardones, who we call Lina in the show,” reveals Frost, who was also the showrunner of The White Queen and The White Princess. Frost argues Catherine is much maligned by history, overshadowed by Henry VIII’s later wives, particularly those who lost their heads in the process. “She’s characterised as this unwanted old bag, but it’s a phenomenal story that’s very pertinent to the 21st century,” she adds. 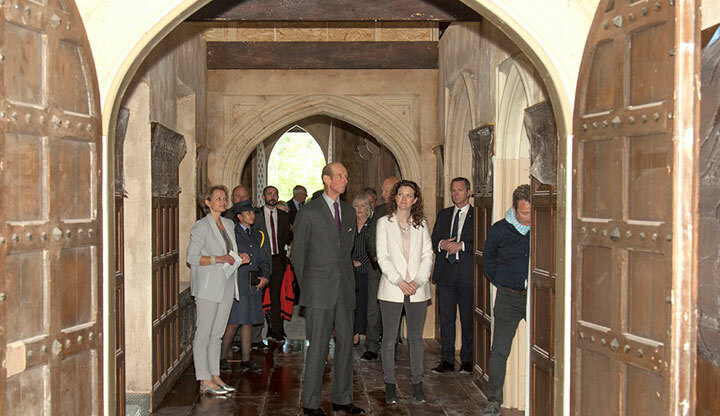 Catherine’s arrival from Spain is used to great visual effect in the series, contrasting the bright sunshine and rich colours of her homeland against the dark, gloominess of England – a place of shadows and people whispering in corridors. “She’s a breath of fresh air but she’s also not to be trusted. She brings her own culture,” Graham says of Catherine. Frost notes that the character’s arrival in the country allows the show to observe Tudor England from an outsider’s perspective, something not possible in the previous iterations. Leading the drama as Catherine is Charlotte Hope (pictured top), who was cast following an international search across Europe and North America. Frost and Graham were looking for someone who could embody the strength and vulnerability of the princess. 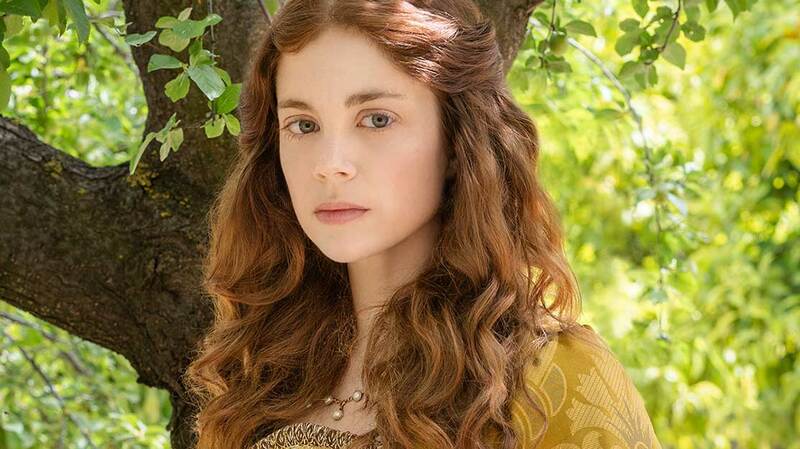 That Hope (Game of Thrones) looks eerily like Catherine was a bonus. Ruairi O’Connor plays Henry, with Stephanie Levi-John as Lina de Cardonnes, Aaron Cobham as Oviedo, Nadia Parkes as Rosa, Harriet Walter as Margaret Beaufort and Laura Carmichael (Downton Abbey) as Maggie Pole. Graham was watching from the sidelines while his real-life partner Frost ran The White Princess, living and breathing Tudor England through her work. So when she suggested they do the next one together, he jumped at the opportunity to work alongside her and share the endless responsibilities of a showrunner – a role they had both previously performed separately. They say every TV show they both work on in future, they will do together. Frost also welcomed the introduction of a male viewpoint behind the scenes. “Even though the show is told from the point of view of women, the male characters really matter, and trying to write a young Henry VIII – a complex, mercurial, intelligent, likeable, flawed and dangerous man – it’s been fantastic to have Matthew’s voice coming into that as well. Distributed internationally by Lionsgate, the series is produced by New Pictures and Playground and is due to debut early next year. Frost and Graham, however, are already working on a second season of The Spanish Princess, which will continue the story of Catherine of Aragon – one Frost likens to Walter White’s journey from idealism into darkness in Breaking Bad. “This doesn’t have the same darkness but it does arguably have more tragedy. Ultimately, it’s the story about the lie,” she adds, referring to Catherine’s claim that her marriage to Prince Arthur was not consummated before his death, thus leaving her free to wed Henry and become queen.